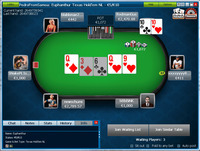 Click the link above to go directly to William Hill Poker - 50 EUR Free's website! 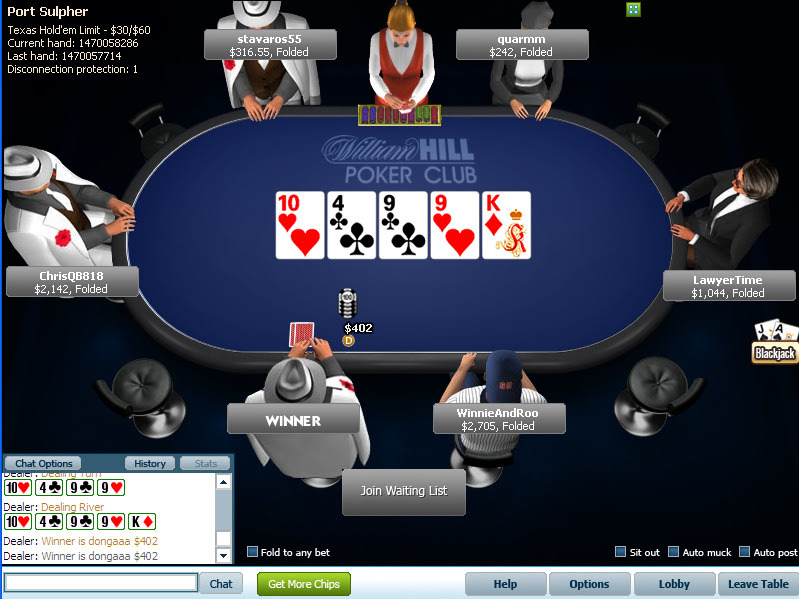 Get FREE money at William Hill Poker to start playing! You will get 5 - 1€ Twister tokens as well as bonus cash of 45€! 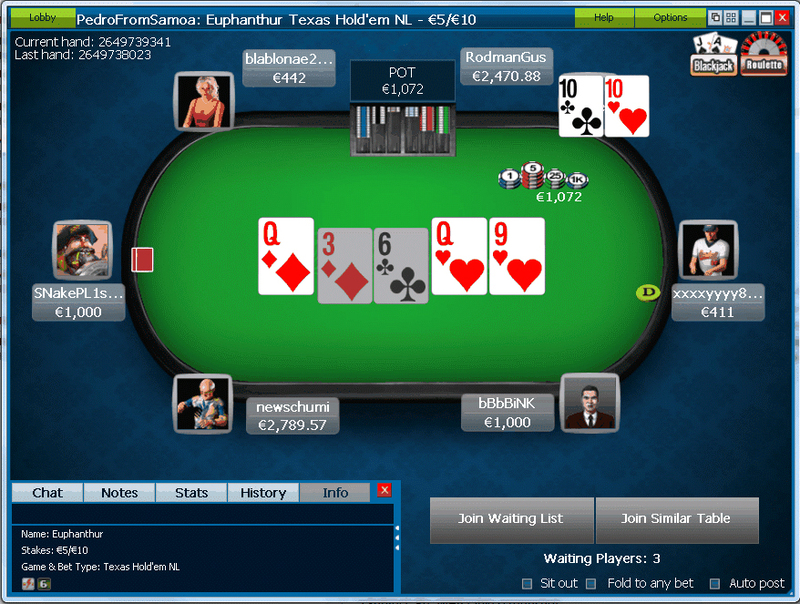 After that, you will be entitled to the same deposit bonuses as in the above table on your next 4 deposits, for a combined total of up to €125 in value! Sign up today to get your FREE cash!